BOX lacrosse leagues will begin again at The Iceoplex at SouthPointe during the week of October 30, 2017. We are using USBOXLA rules including 30-second shot clocks, penalty shots and tie-breakers, all refs and coaches will be trained and certified by USBOXLA, and we will have an EMT on-site for all games. PGHBOXLAX price per player for the six week session is $150.00. 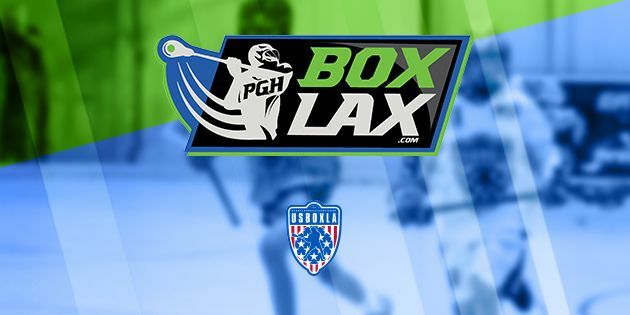 An annual membership fee with USBOXLA is REQUIRED (use discount code below) for each player to participate in PGHBOXLAX leagues. The membership runs for twelve months so it will also allow you to play in our Jan/Feb 2018 school team league session. Dates for Peewee (5th & 6th graders play from 6:30pm-7:30pm) and Bantam (7th & 8th graders play from 7:30pm-8:30pm) PGHBOXLAX Nov/Dec league - six consecutive Monday evening sessions. All PGHBOXLAX league open teams are limited to 17 runners and one goalie. GOALIES PLAY FREE!! Families may request for their players to play on teams together and we will do our best to accommodate all teaming/carpool requests. Our goal is to field evenly-talented teams to ensure competitive play each week. Box goalie equipment will be provided. USBOXLA rules will apply with 6 v 6 play. No cross-checking or boarding. Games are three 15 minute running time periods. One game per team per night. Players must wear full equipment including athletic cup, mouth guard - rib pads and bicep pads are optional but encouraged. Iceoplex surface will be turf for all PGHBOXLAX sessions through Feb 2018. Cleats or turf shoes are appropriate, sneakers may not provide adequate traction on the turf surface.